Mayo Mental Health Association held a fundraising fashion show in the Welcome Inn Castlebar, a group of models who took to the catwalk in outfits from Beverley Hills l-r; Emma Mulchrone, Birute Lyzin, Mary Campbell, Marian McNamara and Lorraine Gibbons. Back l-r; Deborah Brennan, Grace Lynch and Orla Clery . Photo © Ken Wright Photography 2014. 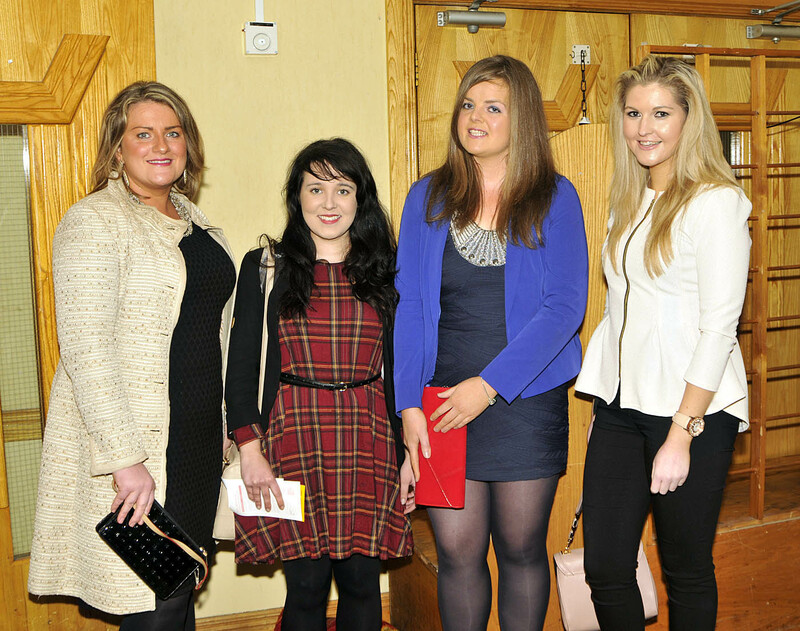 Mayo Mental Health Association held a fundraising fashion show in the Welcome Inn Castlebar, l-r; Andrea Cox, Castlebar, Marcella Creaven, Castlebar, Sarah McHugh, Castlebar and Kerry Burke, Partry. Photo © Ken Wright Photography 2014. 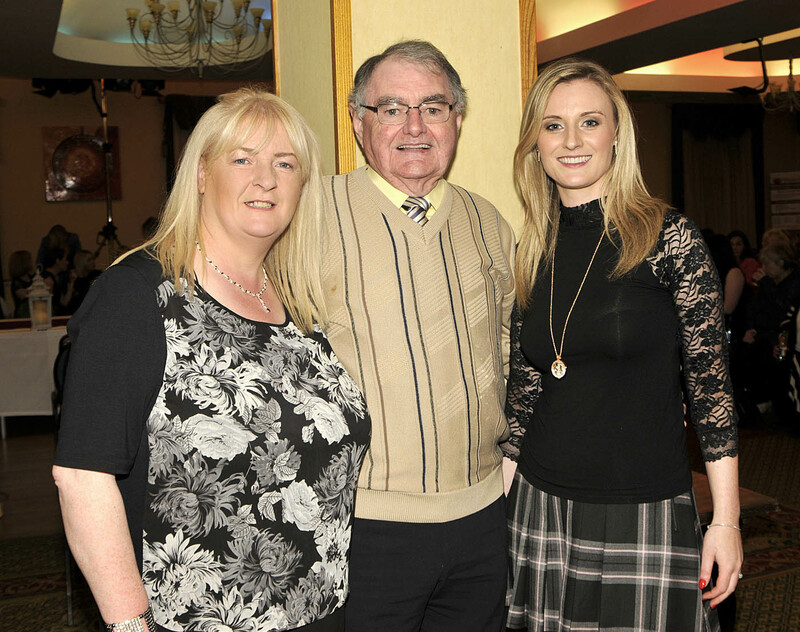 Mayo Mental Health Association held a fundraising fashion show in the Welcome Inn Castlebar, members of the organising committee l-r; Linda Dyer, PJ Murphy, Chairman Mayo Mental Health Association and Ashling Dunne. Photo © Ken Wright Photography 2014. 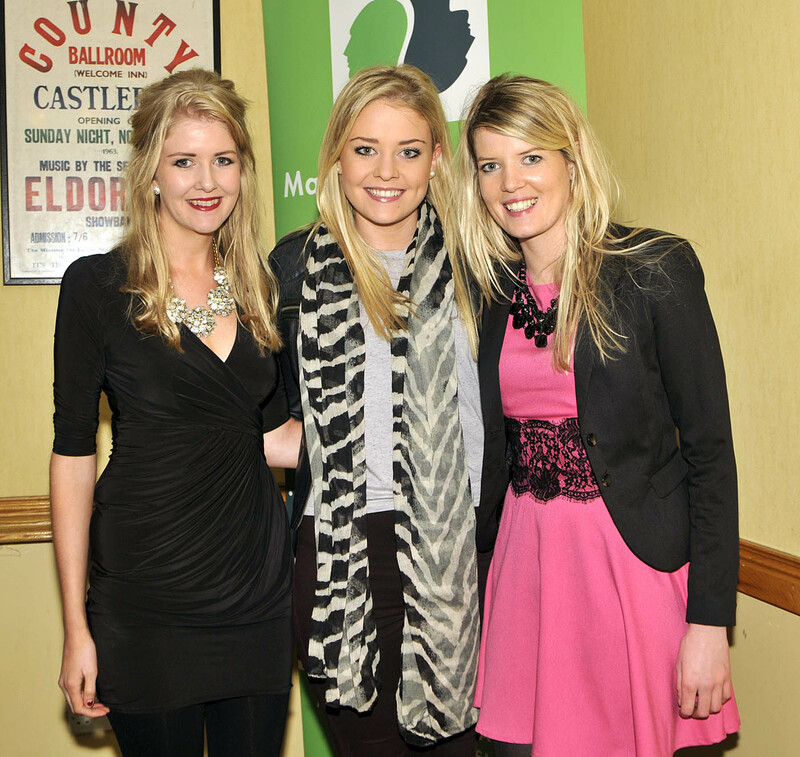 Mayo Mental Health Association held a fundraising fashion show in the Welcome Inn Castlebar, Aine, Aoife and Tara Heverin Mayo Mental Health Association held a fundraising fashion show in the Welcome Inn Castlebar, Aine, Aoife and Tara modelling clothes from A Stór boutique Castlebar . Photo © Ken Wright Photography 2014. 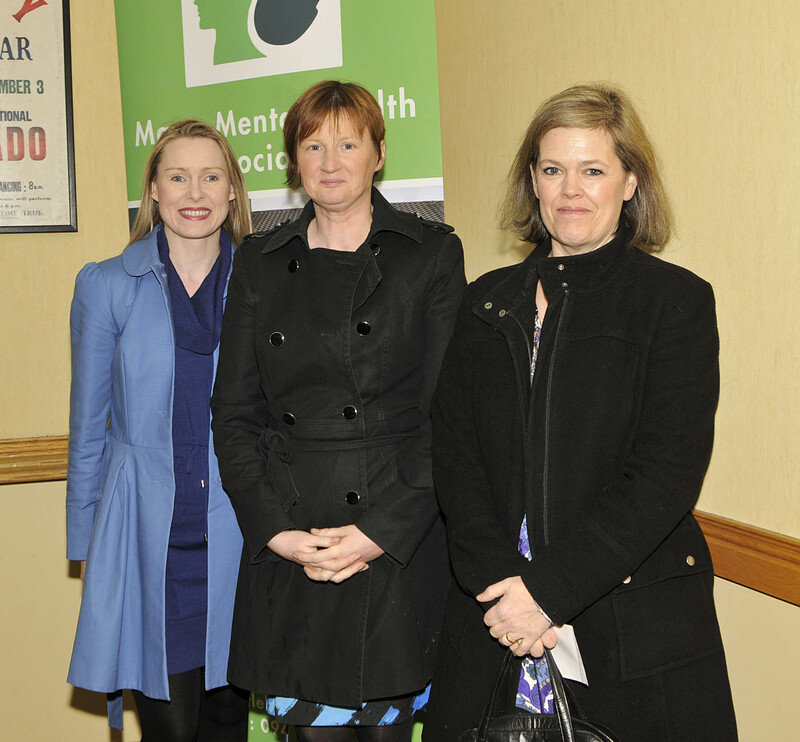 Mayo Mental Health Association held a fundraising fashion show in the Welcome Inn Castlebar, l-r; Noreen Lyons, Siobhan McNicholas and Emma Gallagher . Photo © Ken Wright Photography 2014. 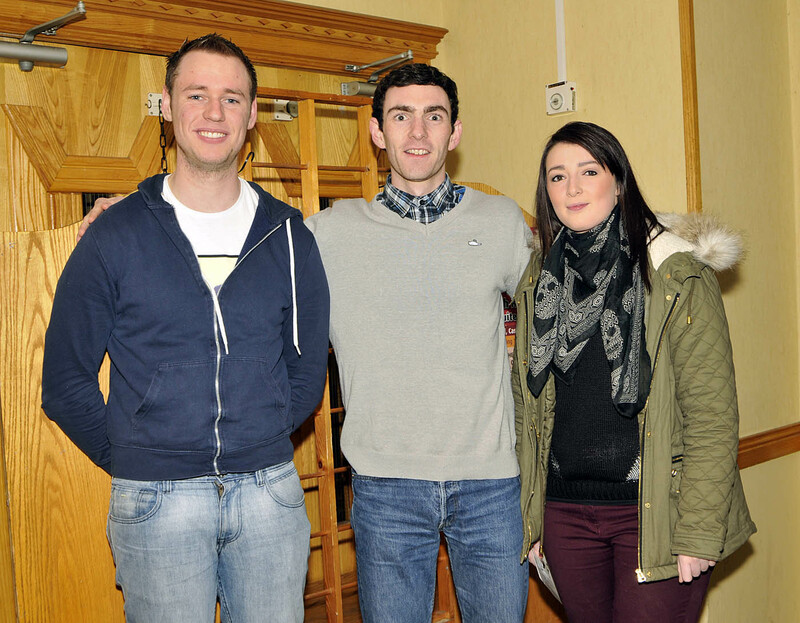 Mayo Mental Health Association held a fundraising fashion show in the Welcome Inn Castlebar, l-r; Niall Kilkenny, David Gibbons and Amy Gibbons. Photo © Ken Wright Photography 2014. Mayo Mental Health Association held a fundraising fashion show in the Welcome Inn Castlebar, Karen Powell and Ellie Fitzgerald modelling outfits from Beverley Hills. Photo © Ken Wright Photography 2014. 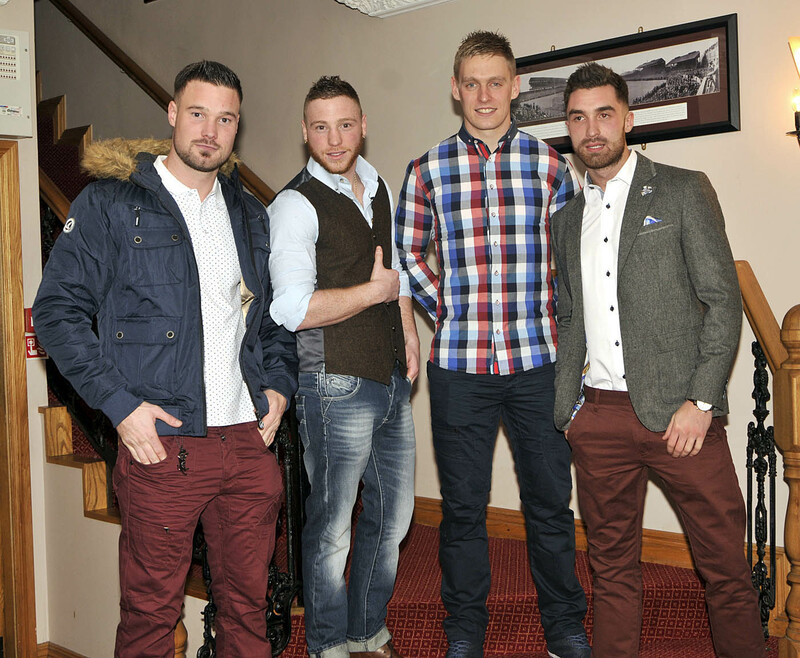 Mayo Mental Health Association held a fundraising fashion show in the Welcome Inn Castlebar, modelling for Unit 7 for the evening l-r; Jarlath O’Hora , Ray Moylette, Kevin Keane and Nigel McHale . Photo © Ken Wright Photography 2014. Mayo Mental Health Association held a fundraising fashion show in the Welcome Inn Castlebar, Ellie Fitzgerald modelling an outfit from Beverley Hills . Photo © Ken Wright Photography 2014. Mayo Mental Health Association held a fundraising fashion show in the Welcome Inn Castlebar, Ellie Fitzgerald modelling an outfit from Beverley Hills. Photo © Ken Wright Photography 2014. Mayo Mental Health Association held a fundraising fashion show in the Welcome Inn Castlebar, Birute Lyzin modelling an outfit from Beverley Hills. Photo © Ken Wright Photography 2014. Mayo Mental Health Association held a fundraising fashion show in the Welcome Inn Castlebar, Lorraine Gibbons modelling an outfit from Beverley Hills . Photo © Ken Wright Photography 2014. Mayo Mental Health Association held a fundraising fashion show in the Welcome Inn Castlebar, Marian McNamara modelling an outfit from Beverley Hills. Photo © Ken Wright Photography 2014. Mayo Mental Health Association held a fundraising fashion show in the Welcome Inn Castlebar, Deborah Brennan modelling an outfit from Beverley Hills . Photo © Ken Wright Photography 2014. Mayo Mental Health Association held a fundraising fashion show in the Welcome Inn Castlebar, Karen Powell modelling an outfit from Beverley Hills. Photo © Ken Wright Photography 2014. Mayo Mental Health Association held a fundraising fashion show in the Welcome Inn Castlebar, Deborah Brennan modelling an outfit from Beverley Hills. Photo © Ken Wright Photography 2014. Mayo Mental Health Association held a fundraising fashion show in the Welcome Inn Castlebar, Orla Cleary modelling an outfit from Beverley Hills . Photo © Ken Wright Photography 2014. 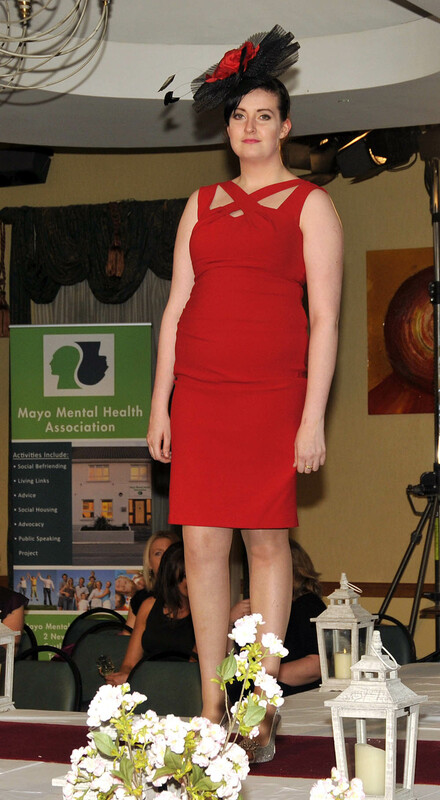 Mayo Mental Health Association held a fundraising fashion show in the Welcome Inn Castlebar, Orla Clery modelling an outfit from Beverley Hills. Photo © Ken Wright Photography 2014. 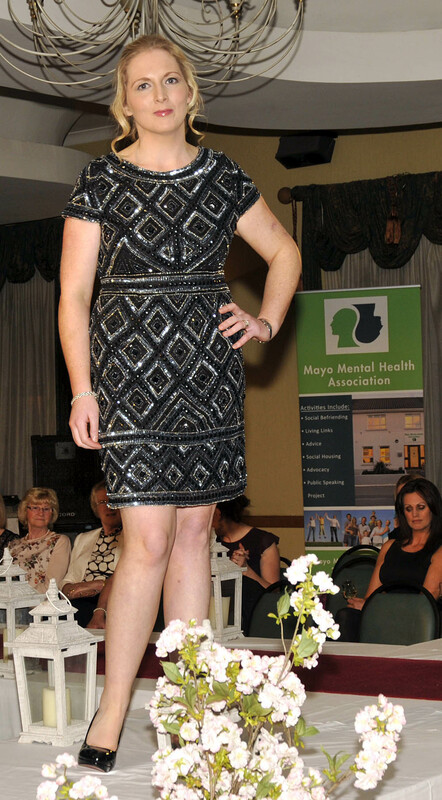 Mayo Mental Health Association held a fundraising fashion show in the Welcome Inn Castlebar, Mary Campbell modelling for Peacocks. Photo © Ken Wright Photography 2014. 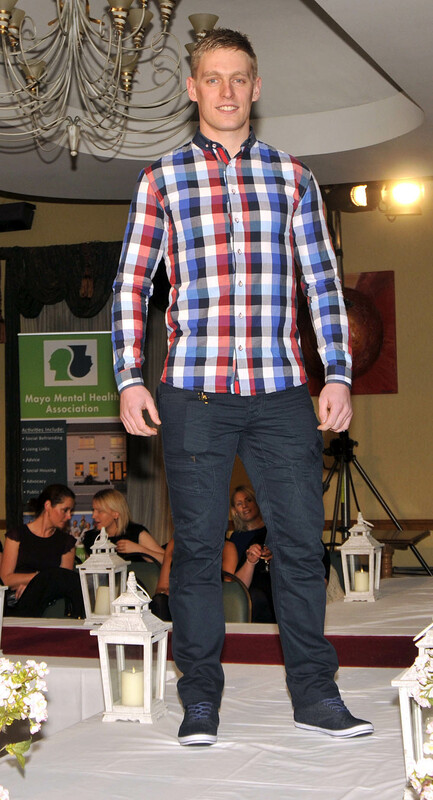 Mayo Mental Health Association held a fundraising fashion show in the Welcome Inn Castlebar, Nigel McHale modelling for Unit 7. Photo © Ken Wright Photography 2014. 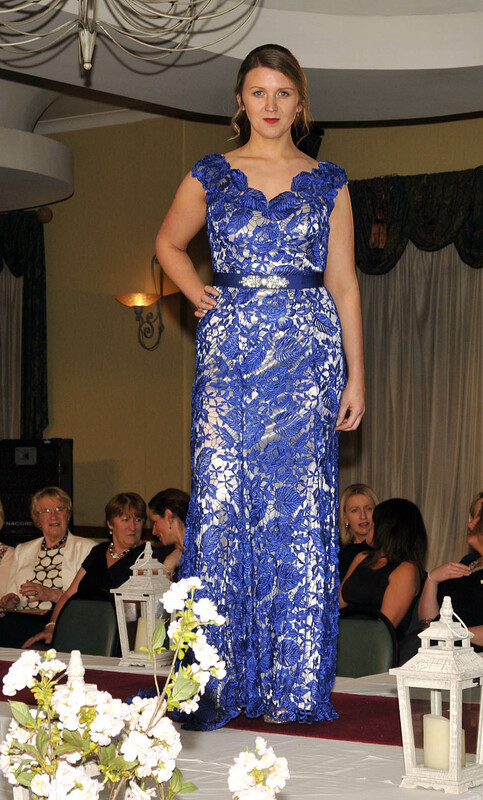 Mayo Mental Health Association held a fundraising fashion show in the Welcome Inn Castlebar, Grace Lynch modelling for Peacocks. Photo © Ken Wright Photography 2014. 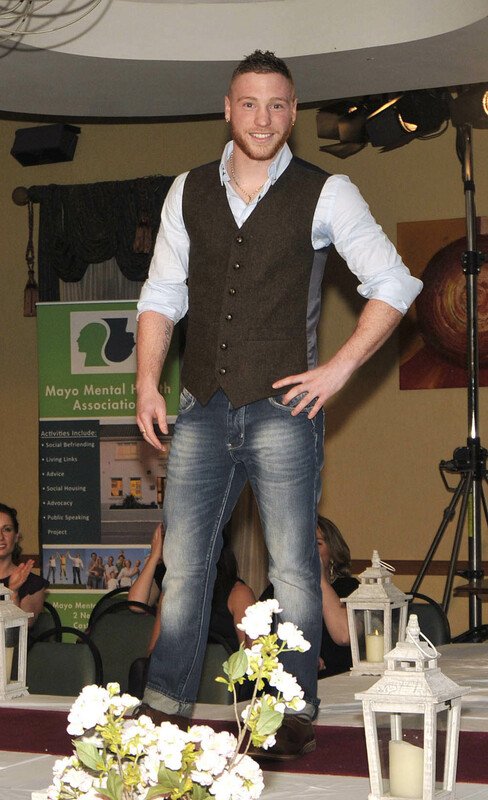 Mayo Mental Health Association held a fundraising fashion show in the Welcome Inn Castlebar, Kevin Keane modelling for Unit 7. Photo © Ken Wright Photography 2014. 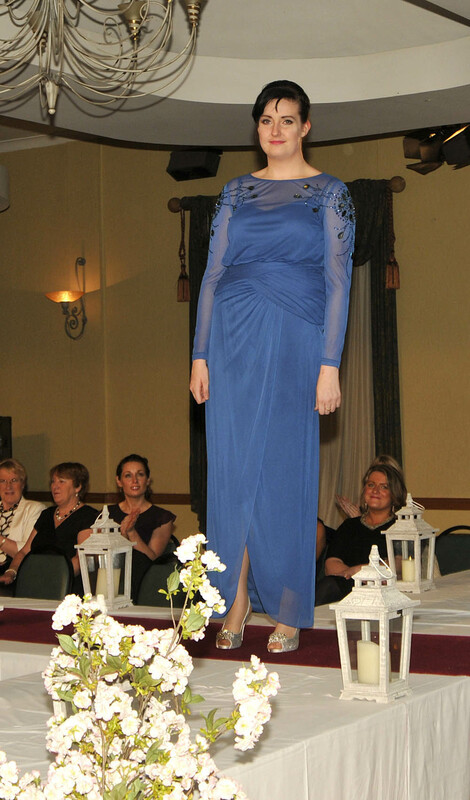 Mayo Mental Health Association held a fundraising fashion show in the Welcome Inn Castlebar, Marian McNamara modelling for Peacocks. Photo © Ken Wright Photography 2014. Mayo Mental Health Association held a fundraising fashion show in the Welcome Inn Castlebar, Cathy Mulligan modelling for Peacocks. Photo © Ken Wright Photography 2014. 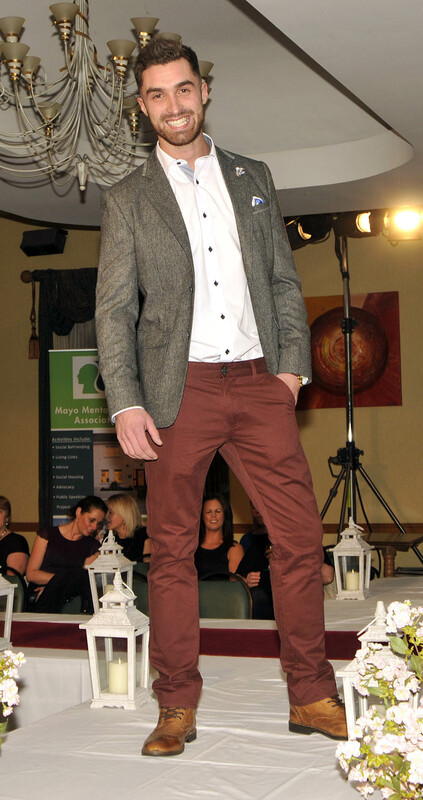 Mayo Mental Health Association held a fundraising fashion show in the Welcome Inn Castlebar, Ray Moylette modelling for Unit 7. Photo © Ken Wright Photography 2014.